South Florida E.N.T. Associates, P.A (Pembroke Pines) - Book Appointment Online! 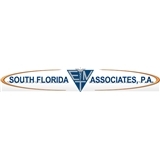 South Florida ENT Associates consists of 45 board certified ear, nose, and throat physicians in South Florida. We are located throughout Miami-Dade, Broward, and Palm Beach Counties. SFENTA’s physicians have been caring for patients in the area for over 30 years and we are proud to bring you the best care for ENT conditions in South Florida. Our services are wide ranging and comprise every service for ENT, allergy, facial plastics, voice, and hearing services to ensure your complete care and comfort. SFENTA Physicians have the finest training and experience and can treat a variety of conditions. Our ENT services include diagnostics and treatment for sinusitis treatment, sinus surgery, allergy treatments, facial plastic surgery, head and neck surgery, laser surgery, nasal and laser endoscopic sinus surgery, balloon sinuplasty sinus surgery, robotic surgery, and many more. My appointment was at 8:30 and I arrived at 8:20, I had already pre-filled out my paperwork online so I only had 3 forms to sign when I got to the office. I saw the doctor at 8:46 which I guess is reasonable. The doctor was very professional and expedient. Hopefully he will get me better soon. Waiting time was very short and the doctor and nurses were very professional and kind.